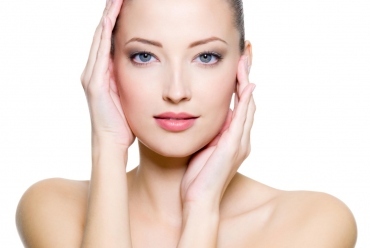 Healthy and beautiful skin features are one of the first aesthetic eye catchers. Typical signs of aging skin are the loss of its firmness, hydration, skin sagging with the appearance of folds, wrinkles, creases, and pigmentations. Skin aging is an ongoing process, even though we can not stop the aging; however, we can prolong and maintain a youthful and healthy looking appearance. Taking care of patients beauty is a long-term goal and requires a holistic approach. That is why the combination of and complementation between Dermal Fillers, Botox, Vampire Facial, Mesotherapy/Beauty Boosters will keep your skin looking healthier and brighter and slow down the aging process. Mesotherapy works through multiple superficial injections of bioactive substances in the skin to hydrate, repair and replenishes the skin at the level that can not be reached by face creams or serums regardless of how consistent we are with our skincare regimes. Mesotherapy/Beauty Boosters treatment is ideal for anyone who feels their skin looks tired, dehydrated, dull with fine lines and uneven skin tone. The results are seen immediately after the first session and gradually improve within a week. Gradually from one session to the next, the skin looks increasingly radiant, hydrated, less creased and firmer. For optimal results 3 sessions within one month, apart and a maintenance session 2-3 times a year is recommended.